How to setup account in PSI? To successfully setup an account in PSI, please ensure that the Icewarp Control and Instant Messaging services are running. After installation will be PSI client will automatically start. 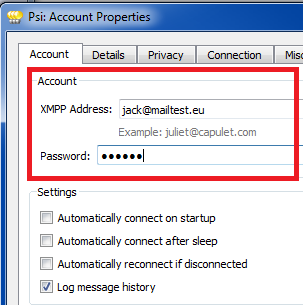 Fill XMPP Address and Password fields with the appropriate account details. 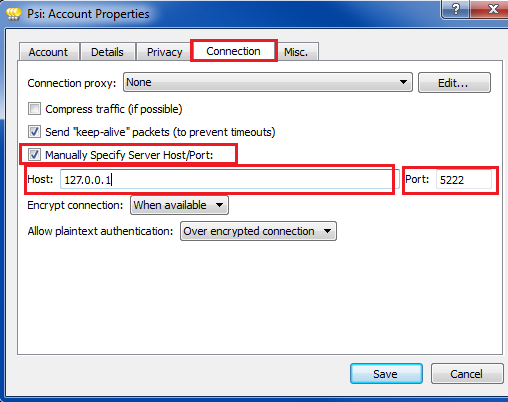 Specify your server name or IP and the associated port used for Instant Messaging. Now you should be able to start a comunication with your PSI client.